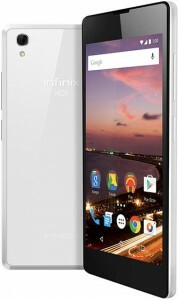 Infinix Hot 2 X510 a.k.a the Hottest one is an upgrade of a very hot entry-level smartphone from Infinix (Infinix Hot). 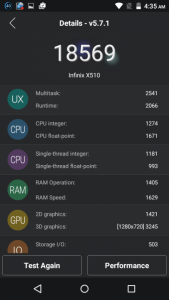 Infinix Hot 2 comes with a newer version of Android (Lollipop) and runs Android One framework, but still very affordable. Infinix Hot 2 is the first and still the only Android phone in Nigeria to come with Android One. The major advantage of Android One is that it ensures that the phone gets the latest version of Android as soon as it becomes available as Google will be responsible for delivering updates and security patches. 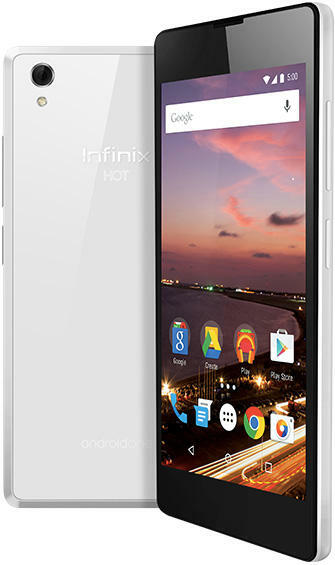 Infinix Hot 2 has a more sleek and better design than its predecessor the Hot. 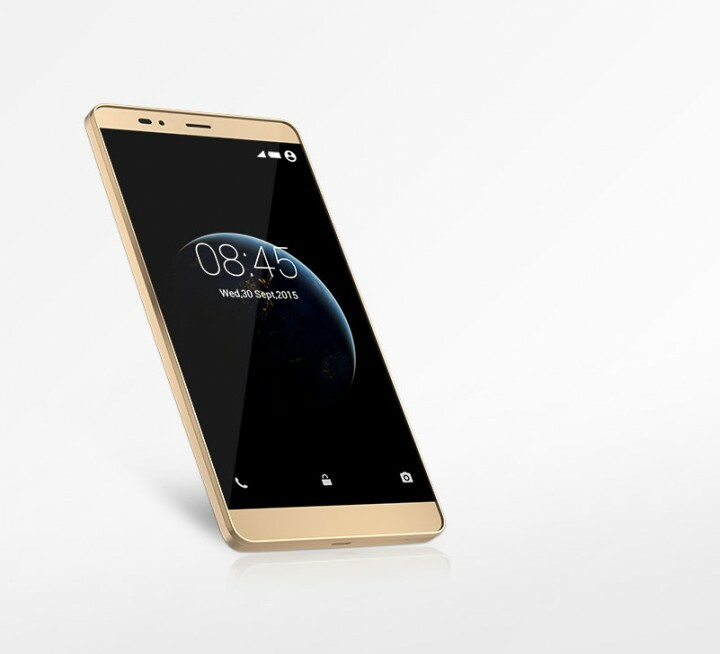 The design can be compared to that of Infinix Zero. The new Infinix Hot 2 has an elegant design and damage resistance built-in that makes it different from the old Hot. It is minimalistic, and perfectly fits in the palm. Just like most Infinix phones, the power and volume buttons can be found at the right side of the device, while the 3.5 mm audio jack and the microUSB slot can be found on the top side. The back camera is located at the top-left corner at the back with the LED flash right below it, just like the Zero 2. At the front, the front camera can be found at the top-left corner of the device. The dual SIM slot and the microSD slot can be found at the back by removing the back lid of the device. 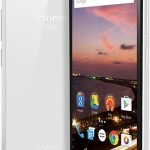 Infinix Hot 2 measures 145 mm x 71.86 mm x 8.8 mm. 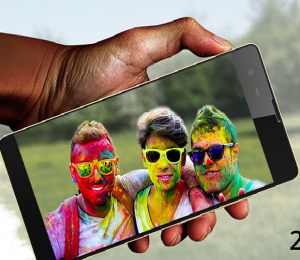 Infinix Hot 2 comes with a 5-inch HD display, with 720 x 1280 resolution, which give 294 pixel per inch. Hot 2 gives a better display than Infinix Hot. The device offers awesome color separation and optimized screen brightness, which makes reading and viewing multimedia content on the phone a pleasure. The color performances and the incredible brightness of this screen make Hot 2 a great device for gaming and video experience. Infinix Hot 2 comes in two models; the 1GB RAM model and the 2GB RAM model. Infinix Hot 2 is powered by 1.3GHz quad-core MediaTek processor, which is the same as its predecessor the Hot. 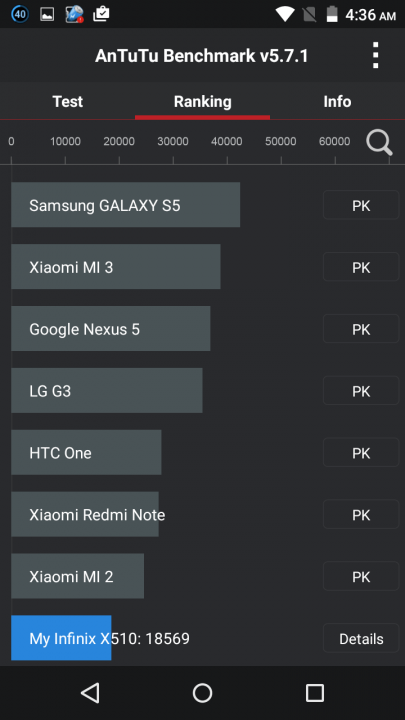 The device comes running Android 5.1 (Lollipop) and is loaded with Android One framework as mentioned earlier, which offers a better battery performance. Infinix Hot 2 is available in two RAM versions (1GB and 2GB), with both featuring a 16GB internal storage that is upgradable to up to 32 GB with the help of a microSD card. With 1.3GHz quad-core processor and 1GB/2GB RAM, the Hot 2 is expected to perform well when surfing the web, and playing video games. The quad-core processor might not be the best for running multiple heavy apps at the same time, especially if you are using the 1GB version. 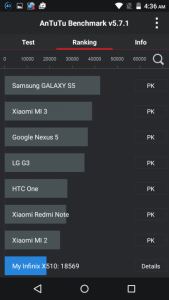 The device scored a total of 18569 in the AnTuTu benchmark test. Infinix Hot 2 comes with 3G and 2G support is good enough for surfing the web. 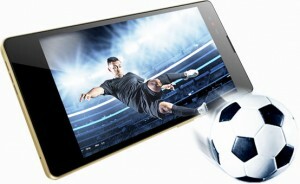 The device also features hotspot, Wi-Fi, and bluetooth version 4.0 for sharing of media. 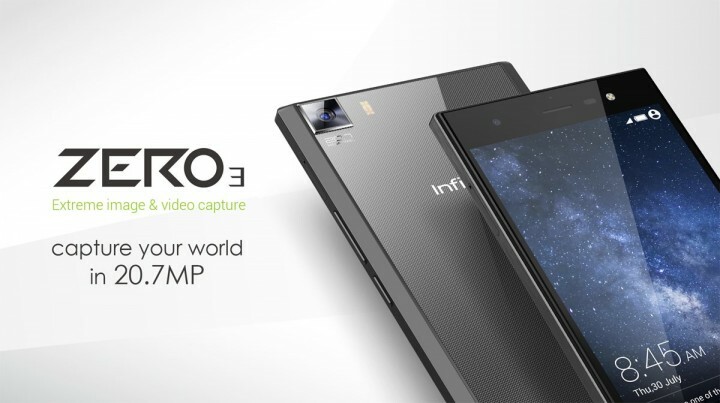 Unlike the Infinix Hot that came with 5MP front camera, the Hot 2 comes with an upgraded 8-megapixel front camera that ensures your photos come out better than before. Its 2-megapixel front camera won’t exactly give you the best selfies, but it does the job. Hot 2 comes with 2200mAh battery and the Android Lollipop coupled with the Android One framework ensures that the battery gives a better performance. Infinix Hot 2 is now available in Nigeria. The 1GB RAM version can be bought for NGN 17,500, while the 2GB RAM version is sold for NGN 19,500. Given what the phone can do, the prices is more than a bargain. Please someone should help me, my infinix Hot2 ( 2g RAM) doesn’t take pictures without Memory Card, I have also downloaded Es File Explorer thinking that it will help but it couldn’t,but I can view images/videos/files that I downloaded to my devices via Es File Explorer. This morning ( 10/10/2016) I noticed that I can’t download images/files sent to me via WhatsApp to my device without Memory card inserted, but I have more than enough space on my device storage but I can save WhatsApp profile pictures to my device storage ( it’s confusing ).And the reason why I want to stop using memory card on my phone is that, it always Corrupt my files ,some times ,the memory card will be inserted but I couldn’t use my camera and the response will be ” I should insert memory card before using the camera” while there’s memory card already. And ones it happens, i can only use the camera if I restart the phone OR the the phone will ask me to format the memory card,that it’s Corrupt. 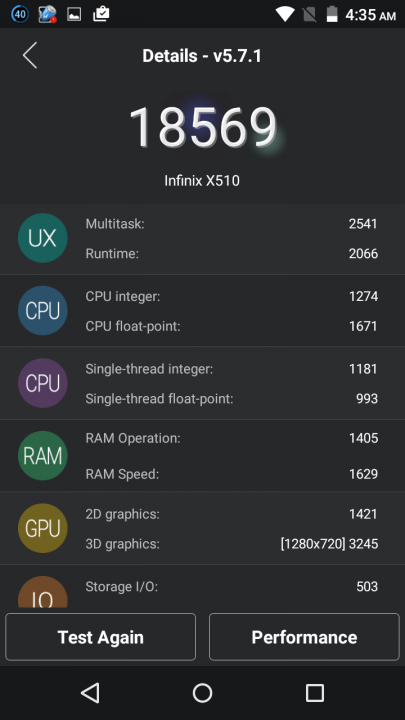 Does it mean that Infinix hot2 (2G RAM) doesn’t work without Memory card ? If you insert memory card in your phone, the device will normally set it as the default writing storage. If you haven’t done so already, I suggest you completely remove the card from your phone, restart it and see if things will return to normal.